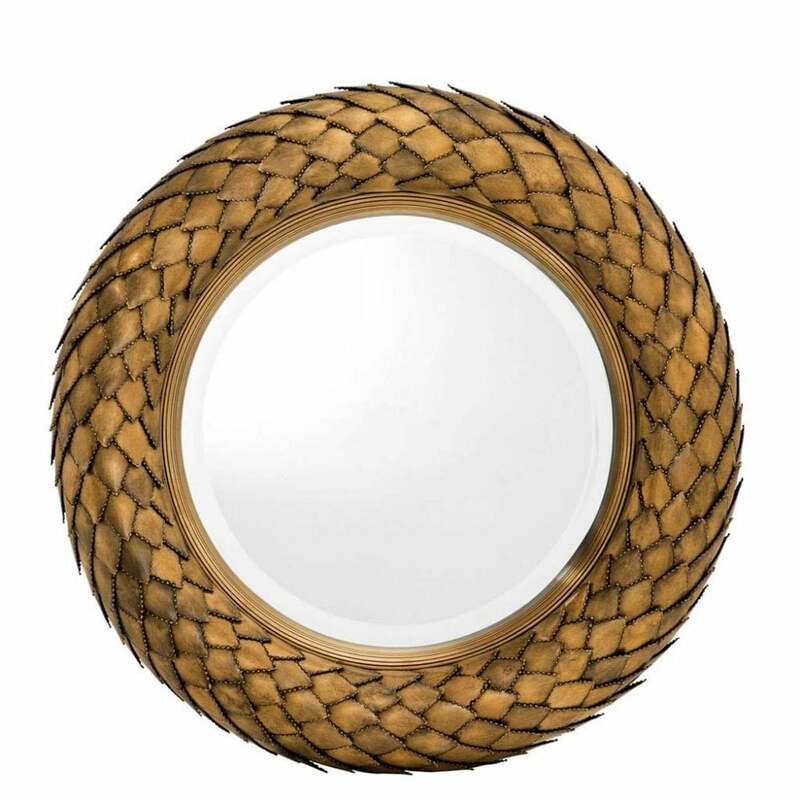 Inspired by the interlocked shape of a laurel wreath, the Laurel Mirror by luxury homeware designers Eichholtz showcases the brands' eclectic aesthetic. The opulent design features a solid, circular frame that is hand-finished in an antique brass. The bevelled mirror glass creates depth and texture illustrating the expert craftsmanship. WIth a Greek style and on-trend metallic hue, this mirror will look beautiful hung above a fireplace or centre stage in a hallway. The mirror is hung using a French cleat hanging system. Make an enquiry for more information.